The Eric Carter Train is leaving the station, according to Deadline.com. 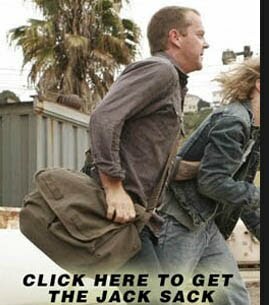 I am disappointed in the fact that Corey Hawkins will not have his character's story continued- Hawkins did a superb job in filling a very large manpurse vacated by Kiefer Sutherland... maybe this metaphor doesn't really work here. Anyway, the article I've linked above has more details on what the future of 24 offers- essentially the same writers and producers are trying to come up with another approach to sell to FOX. 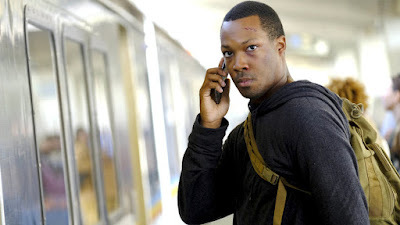 24: LEGACY had its flaws, and most of them come down to the structure of the 12 episode arc. The first half of the season was far better than the back six episodes. The story had no crescendo, and it felt like the characters (especially Tony Almeida) meandered through its conclusion. So, what I'm saying is that 24 needs a new creative direction-- get some new writers and producers before you try this again, FOX. I was kind of hoping for a season 2, as long as they don't kill off Tony. I seem to be the only one that really liked what they did with Tony in Legacy. And running away with a hot girlfriend and a paycheck, into the night, was the closest thing to a happy ending that Tony will ever get. Like a western, he just disappeared. I think this might be the end of 24. They always say this. "We're still looking for ways to continue 24, this might happen, that might happen." And then it doesn't. Remember the movie? I don't want them getting our hopes up for nothing, I want concrete plans to continue the franchise, and EVIDENCE of those plans. Not just "it might continue"